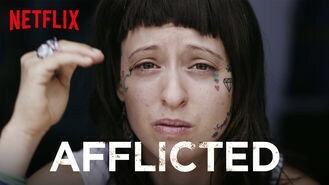 Pictured: my sister, Bekah — a subject in Netflix’s new, unscrupulous “documentary”. Afflicted is a documentary series, shot by DocShop and distributed by Netflix, that follows the lives of seven people who suffer from several chronic illnesses. My sister, Bekah, was one of them — she suffers from mold sensitivity, chemical sensitivity, and Chronic Lyme Disease and related co-infections. I lived with her for 6 months in Yucca Valley, California, as her caregiver. We lived in vehicles on rented land and then in a trailer, as part of a mold avoidance protocol. We agreed to participate in the series because we were assured that it would faithfully tell her story, raise awareness of widely-ignored chronic illnesses, and that it would be backed by science, rather than sensationalistic claims. It is clear to me that the filmmakers — executive producer and president, Dan Partland, and executive producer Peter Logreco of DocShop — have done an enormous injustice to the film’s subjects, countless sufferers of the diseases, and the public. Afflicted constructs a deceitful narrative that systematically ignores scientific evidence, takes statements out of context, manipulates timelines, omits important facts, and gives voice to non-specialists talking outside of their fields — all to sow doubt in the audience’s minds as to the legitimacy and reality of these very real and dangerous diseases. As a first-hand witness to most of the events that took place in Bekah’s story, as well as knowing (and witnessing) Bekah’s medical history and being in close contact with her before and after filming, I believe that I am in a position to shed light on much of the reality of her situation. The first episode’s portrayal of Bekah’s ozone therapy treatment is a very clear and blatant example of how the filmmakers manipulated facts on several levels. The on-screen text reads, “Bekah is going to undergo an experimental blood treatment” (34:43). We see her boyfriend, Jesse, driving her in their van. Cut to a doctor’s office. The doctor briefly explains ozone therapy to her — the process of taking blood from the body, adding ozone, and recirculating it through the body. We see that the machine is somehow not working (36:45). We are not given a clear explanation as to why. A separate doctor, Dr. Yang, is shown on screen saying, “I’ve heard of Ozone Therapy, but I don’t know the details, but many of these types of alternative therapies really have no basis in our understanding of physiology or immunology or microbiology”. This is soon followed by a clip of Jesse driving Bekah in their van (presumably back home). He asks her, “Do you think that treatment helped?” (37:37). Bekah does not reply and simply stares ahead. Bekah had already been receiving ozone treatments from other doctors, including Dr. Gisler in L.A. The treatments were used to treat complications (including infections) associated with Chronic Lyme Disease and Mold Sensitivity. The doctor shown on screen gave her a free treatment for the opportunity to be shown in the documentary, so Bekah agreed to receive it there. I drove her to and from the treatment. In fact, Jesse was on the east coast at the time. I was also there before and during the procedure. I watched Bekah tell the doctor that she needed a saline IV because she was too dehydrated to receive the ozone treatment. He dismissed that request and, as she had expected, her blood was too thick to circulate through the machine. (Her blood can be seen in the footage.) I then drove her home. That means that the footage of Jesse asking her, “Do you think that treatment helped?” was from a completely different time and context. Not only was he not there, but he wouldn’t have been referring to a treatment that was never completed. Ozone therapy has, and continues to be, a helpful treatment for Bekah and countless other patients. The filmmakers were so intent on discrediting it that they dealt in blatant lies to do so. The “documentary” both manipulated footage and gave a platform to a seperate doctor (Dr. Otto Yang) to give his opinion on a procedure that even he admitted having no knowledge of. During episode 4, Bekah visits Infusio, a holistic treatment center in Beverly Hills, CA. They run an overall diagnostic test on her body and Dr. Suzanne Kim, the doctor there, tells Bekah that “you’re a very, actually, very typical person who we see in this office” (35:31). She claims to be able to help with Bekah’s extreme mold sensitivity. In episode 7, an on-screen text reads, “Last month, Infusio, a natural healing facility offered Bekah a full course of stem cell therapy worth $25,000 at no charge. She declined the offer” (18:43). Bekah then explains to the camera that she consulted with “the smartest patients I know”, and that they advised against it. Docshop arranged the meeting with Infusio. Infusio offered to pay for the stem cell treatment for Bekah for the opportunity to be shown in the documentary. Bekah did speak to other people suffering from her illnesses. However, what is not shown is that she also consulted with some of the top specialists on mold sensitivity in the country as well, specifically Dr. Neil Nathan and Dr. Mary Ackerley — both knew her case. They all advised against it, saying that there is little evidence to support the effectiveness of stem cells as a treatment for severe chronic mold sensitivity. The filmmakers gave the impression that Bekah was making a medical determination more or less on her own, without consulting specialists. Nothing could have been further from the truth. Furthermore, the producer with whom we dealt, Stephanie Lincoln, questioned Bekah’s decision, though she and the DocShop crew had no medical background. Perhaps the most direct way that the filmmakers reveal their narrative bias is through on-screen texts. For instance, Bekah’s Chronic Lyme Disease is introduced in the following way: “Bekah believes [emphasis added] her immune system has been suppressed by a lyme infection she got from a tick when she was 19” (episode 1, 35:02). Bekah’s Lyme Disease was first confirmed by the Western Blot Test, a completely standard diagnostic tool. She received a diagnosis for Chronic Lyme Disease by Dr. Galland, a renowned Lyme specialist who worked with Bekah for several years in New York City. He also diagnosed her with Common Variable Immunodeficiency, verifiable through standard blood tests. It was not Bekah’s personal assumption or determination. Bekah has always worked with well-respected doctors, alongside complementary alternative and Chinese medicine that her doctors are well aware of. “Bekah believes [emphasis mine] she suffers from Mold Sensitivity caused by Lyme Disease” (episode 2, 7:34). The connection between the diseases in Bekah’s case was recognized by both Dr. Galland and Dr. Gisler. The link between Chronic Lyme Disease and Mold Sensitivity is not controversial among specialists. It has been thoroughly researched and written about by Dr. Neil Nathan, Dr. Raj Patel, and countless other doctors. Afflicted interlaces the main storylines with snippets from interviews with several doctors who are not specialists in the chronic illnesses shown. These doctors have never met nor evaluated Bekah, nor (as far as I know) have they met any of the other subjects shown in the documentary. The filmmakers present their words as implied evaluations of the subjects at key points during the story. The common theme is the insinuation that the subjects’ illnesses are simply mental disorders. This is simply an unnecessary distraction, meant to sow doubt in the audience’s minds. Bekah’s physical illnesses have already been diagnosed by several well-respected specialists with standard lab tests. Furthermore, many of the complications resulting from Bekah’s illnesses are easily evaluated — for example, she would often get staph and fungal infections in her nose. There is no evidence that these infections can originate in the mind. In episode 1 (26:33), Bekah is shown on film taking a western medication, called Voriconazole. It’s an anti-fungal medication (usually used by AIDS patients and other patients who are extremely immunosuppressed). Bekah was prescribed that medication by both Dr. Galland and Dr. Gisler. I don’t know what the source of that statistic is, but not only have Bekah’s diseases been diagnosed by medical professionals, they are not “unknown” or “uncatalogued”, and they and their symptoms are commonly recognized by medical specialists. Dr. Friedman has no place in a documentary in which all of the patients already have proof of physical ailments. In episode 4, the implication that Bekah’s problems are mental or emotional rather than physical is approached from another angle: her family. I’m heard saying that “It’s a kind of twisted path to getting to where we are with Bekah’s health” (15:49). There’s then a cut to me mentioning her depression and anxiety. The greater context of the interview was me making clear to the interviewer that a person can be physically ill and have mental problems, not that mental problems cause physical ones. In fact Chronic Lyme Disease has been shown to cause and increase depression and anxiety. That “twisted path” included a botched wisdom tooth extraction that left Bekah’s mouth susceptible to infection and further complications, an African blood disease and parasite, as well as Lyme Disease, of course — all physical issues. My parents also appear, with their only (and brief) statements out of hours of interviews. They say that Bekah went to a psych ward as a teenager. This is all played over the visual of Bekah preparing a bath for herself with anti-fungal medicine. However, there’s no explanation given for the medical dimension of what she’s doing — it remains a mystery to the viewer. I can’t stress enough that Bekah has been diagnosed and treated by well-respected medical doctors, specialists in Lyme Disease, and then in Mold and Chemical Sensitivities, for years. These have included Dr. Galland, Dr. Gisler, Dr. Ackerley, and Dr. Nathan. We have stacks of medical tests that were all made available to the documentary crew, but few to none made the cut. 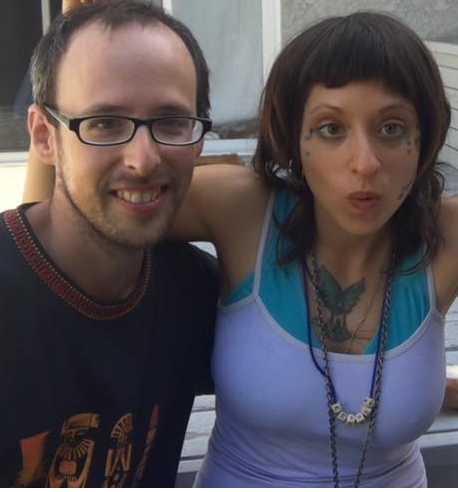 Neither I, nor Bekah, nor any of the other subjects were paid for our appearances in Afflicted. We essentially worked for free to inadvertently undermine and discredit Bekah’s illnesses and spread disinformation about them to the public. It pains me that this documentary will likely lead to more family members doubting the physical sickness of loved ones, further stigmatize disabled people, and discourage science-based discussion, research, and education about chronic illness. The filming of Afflicted created considerable stress for Bekah, as the crew brought harmful contaminants near her, implied the promise of future medical treatments for our continued participation, and pressed for interviews that were both physically and emotionally taxing for her. As for me, it took time and effort to coordinate with the crew and work with them to get the proper shots and sound. I met with them separately to discuss how we could most thoroughly tell the story, set up “scenes” in conjunction with them, and even helped out by washing their clothes so that they could film in the van. That was all valuable time that I could have been spending doing medical research, taking care of my sister’s daily needs, and earning money to support us during this financially draining period. The fact that executive producers, Dan Partland and Peter Logreco (and anyone else who was involved with the final edits) felt that they could get away with this says a lot about them. It takes a high degree of immorality and cynicism, a lack of empathy and ethics, and a pure disregard for science to produce something like Afflicted. I can only assume that it was made for political and financial expediency. Read more essays by the cast of Afflicted here. Nick and Bekah in California.